I can confirm that the Panasonic VaricamLT firmware 20.42 fixes the MXF issues that prevented AVC-Intra 100 footage from being recognized properly. Prior to this update, the only 1080 footage that FCPX would see was the ProRes HQ files that the LT generates. Still no support for the AVC-Intra LT codec, needed for off speed frames above 60p. This update now allows the use of FCPX and older P2 cards to record 1080p footage in AVC-Intra and ingest properly. I have quickly tested E-Series and R series cards and both appear to work without issues. Addition of RAW output function is planned for the update in the future. When FREQ = 59.94i / 50i is set, recording is possible using MAIN CODEC = ProRes422 HQ. Using MAIN CODEC = AVC-Intra100, recording is possible with FREQ = 59.94p / 50p / 29.97p / 25p / 23.98p and MAIN PIXEL = 1920×1080 / 1920×1080 CROP. At the same time, recording on F series P2 memory card is possible in spite of VFR = ON (with any setting value for fps) when MAIN PIXEL = 1920×1080 is set. Gamma Curve [V-452080] and setting values of LINEAR MATRIX will be changed by this update. Please be careful if you need to use non-updated Gamma Curve [V-452080] or load a SCENE FILE set up on a non-updated camera. When Panasonic released the Varicam35, it got my attention. The camera had a great look and the feature set was impressive. I couldn’t justify the expense of that camera, especially since I was invested in EF glass. I was ready to move to a 10 bit camera system, and looked seriously at the Canon C300 MKII. It had many of the features I wanted, but there were a few drawbacks. Mainly that I would have to move to CFast cards. Flash forward to February 2016. Panasonic makes a surprise announcement that a new Varicam (LT) was about to be released. I decided to wait on a camera purchase until after the NAB show. On paper, the camera seemed to offer everything I wanted: EF lens mount, optional PL mount that is user swappable, 4K recording, and up to 240 frames per second. To tie it up in a nice bow, the 16K base price was right where I wanted to be. My concerns where mainly about the memory cards, and whether I would be able to use my collection of older P2 cards, mainly R and E series. The short answer is yes, in 1080p recording, I can use my existing cards. The timing was right, and I decided to pull the trigger on 3 units. We went with the complete kit with PL and EF mounts, ENG style shoulder pad, EVF and Express cards. I will use these to replace our C300’s and older P2 cameras. The cameras were ordered through AbelCine in NY, and we received them one day before a big 10 day shoot at the KPMG WPGA Championship at Sahalee Country Club near Seattle. 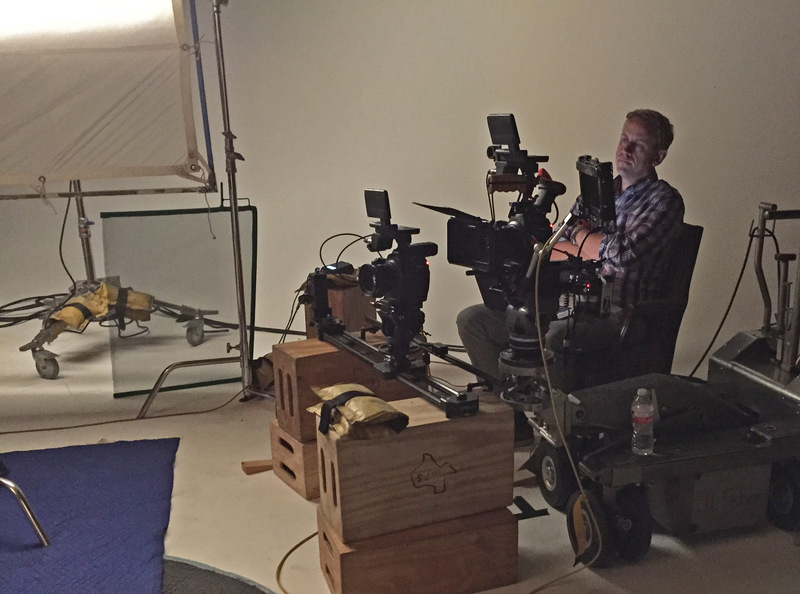 Olympic Gold Medalist Shawn Johnson interviewed for event title sponsor KPMG with Varicam LT and cine-style 30-300 lens. Without much prep time, we jumped in with a mix of Canon photo glass and Cine glass on our three cameras. Out of the box images were brilliant, just using Scene 1, REC709 with no grading. We even made use of the 240fps recording to shoot some player hero shots, which impressed everyone who watched it. There were a few wrinkles, like trying to kit out the cameras for 19mm rod support and replacement top handles. The Wooden Camera kits worked great, the Zacuto kit didn’t work with Panasonic’s EVF (thanks FedEx SameDay). Also, NLE support for the new codecs is still in beta, so we were forced to use our new ExpressP2 media and shoot ProRes HQ. That allowed us to work in FCPX without issue. We later discovered that 4K AVC-Intra works just fine with FCPX. In order to shoot between 61-240fps, we needed to shoot in a new codec called AVC Intra LT. The LT codec required us to use Davinci Resolve to convert the clips to ProRes. I hope this is fixed with a software update soon. We even put the proxy record functionality to work in order to supply multiple networks with our footage at the same time. Using a simple SD card, I can record a full raster 1080p picture with a LUT applied at the same time my main recording occurs. Overall, we are very pleased with the cameras, and look forward to exploring it’s features deeper as we go. The Iditarod Trail Sled Dog Race takes place in Alaska, on the first Saturday in March. The 1000 mile race, known as The Last Great Race™, starts in Anchorage and transverses through the Alaskan Interior, to the edge of the Bearing Sea in Nome. The race will take about 9 days for the winner, and up to 14 days for the last team to complete. With a worldwide fanbase, the Iditarod.com website is the natural home for race coverage. That coverage includes blog writers, photographers, and a broadcast video team. This year marks the 44th running of the event. Of the 10 years that I have been involved with the video production side of the race, this year proved to be the most ambitious. We launched a live streaming video component to the coverage that has never been attempted before. Our goal was to provide live video coverage of the race leaders in every checkpoint. This was challenging for several reasons, one being the lack of infrastructure along the trail, and the second biggest factor being limited resources. The Iditarod Trail Committee (ITC) hosts the race, and operates as a Not-For-Profit entity. Every expense is scrutinized carefully. My plan was to build a small studio setup in Anchorage at the race headquarters, the Lakefront Hotel in Anchorage, and create a live news channel with former mushers Joe Runyan and Danny Seavey as hosts. The show would “break in” for race updates and live video as necessary, 24 hours a day. This was going to be a two man operation at best with some volunteer help, and likely a one-man show most times. Everything had to be small, lightweight and flexible enough to work in multiple scenarios. The gear I picked needed to accommodate all of these goals. At the heart of the production would be my 15” MacBook Pro running Telestream’s Wirecast 6. I have used this software before to combine two live GoPro’s that hang on the Burled Arch at the finish of the race. I knew the software could handle the task, but I had never used the full feature set of the software before. I would be the weak link. For cameras, I knew wanted 3, maybe 4 angles. GoPro’s were an option, but on the wish list was a Pan-Tilt-Zoom (PTZ) setup to allow me to run the studio alone. Plan A was to rent some Panasonic HE60’s and a RP120, but I wrangled some HE130’s from Panasonic to test. The HE130’s were light enough to mount on Matthews light stands with a Noga ball head (in case I needed angle adjustment). This would save on weight and additional cost of tripods. Another big benefit is that the HE130’s can be powered and controlled via a single ethernet cable (POE+). This would make the setup cleaner and simple. The cameras were fed into an AJA IO 4K box connected to my 15” MacBookPro. Using AJA’s software, I configured the box to pass 4 distinct HD 720p signals into Wirecast. This was key to keeping the footprint small and manageable. For audio, I used an existing Allen & Heath Zed10 from my edit suite. A little big, but great sound, and could handle 4 mics. I just picked up a BlackMagic VideoAssist prior to the race, and brought it along to serve as my video monitor/recorder. An AJA T-Tap provided the proper outputs from Wirecast. A Livestream Broadcaster was the encoder engine to the CDN. Lighting was tricky, knowing that i needed to keep it small. The original plan was to shoot on an outdoor patio, so HMI’s were the only choice. I had a Joker 400/200 kit to use, but wanted something else. I had rented a Westcott FLEX LED 1×3 from LensProToGo and was so impressed with the output that I purchased my own Westcott 1×1 travel kit with two panels. It’s a complete kit in a small travel case that includes batteries, dimmers and stands. The whole kit weights 50lbs and I was very impressed with it. One of the most exciting and challenging parts of this year’s Insider coverage was the live video from the checkpoints. Never, outside of the state of Alaska, has our audience experienced live video from the checkpoints. There are many reasons for this, but the main issue is that satellite coverage in Alaska is not great, and the throughput on small dishes is limited. There are no roads between many of the checkpoints on the Iditarod trail, so everything needs to be flown on bush planes. Think small and light. This year, KTVA, the broadcast partner of the Iditarod arranged for a 24” dish from ViaSat, in the form of their Pro-Portable data satellite. This Ka band unit packs into a small flight case and can delivery upload speeds of 20Mbps. These speeds are theoretical, and in Alaska, we were planning on 6Mbps upload max. The idea was to fly this dish ahead of the race leaders, and push a live stream back to our studio in Anchorage. Since the ProPortable would only have reception for the first part of the race, we planned to share KTVA’s two 1.2m flypacks for the second half. In order to get the video back to our studio, I employed a Teradek Cube with a MPEG-TS license, which allows the cube to stream back to a cloud server called Sputnik. I setup Sputnik on the Amazon cloud, and could then pull streams directely into Wirecast with the free Teradek StreamReader plugin. The tricky part was using the flypacks. These units are beamed into the KTVA facilities in Anchorage. Using a Mac Mini and an Ultrastudio recorder I could receive a signal from master control. Using Wirecast and Wowza Streaming Engine software running on the Mini, I was able to transcode the video and re-route it to Wirecast as an input. This was something that we had not planned for, and we worked it out thanks in part to the flexibility of Wirecast. This was a huge breakthrough for race fans, and we streamed hours and hours of live cameras from the Alaskan Interior, which has never been done before. I have worked briefly in news when I first graduated college. I did not mind the pace, but found a more comfortable existence in production. I should have paid more attention to IFB’s and satellite windows, because I was in for a world of hurt. Let’s just say that I have a new respect for the gang in news production. We have been using Livestream as our content delivery network (CDN) for many years. Their pricing model in the past has been reasonable, with no per-user fee. Reliability has always been good, but this year Livestream experienced a major service outage right around the time of our finish. In order to keep our live video up, we switched the YouTube encoder on in Wirecast and was able to service our fans for about 4 hours until LiveStream was back up. Again, Wirecast saves the day. Overall, the production was received well by the fan base. The equipment functioned as planned, and my main issues were mostly human error by myself. When I think about what this team achieved with a few Macs and some software, compared to what would have been needed even 5 years ago, it is simply amazing. 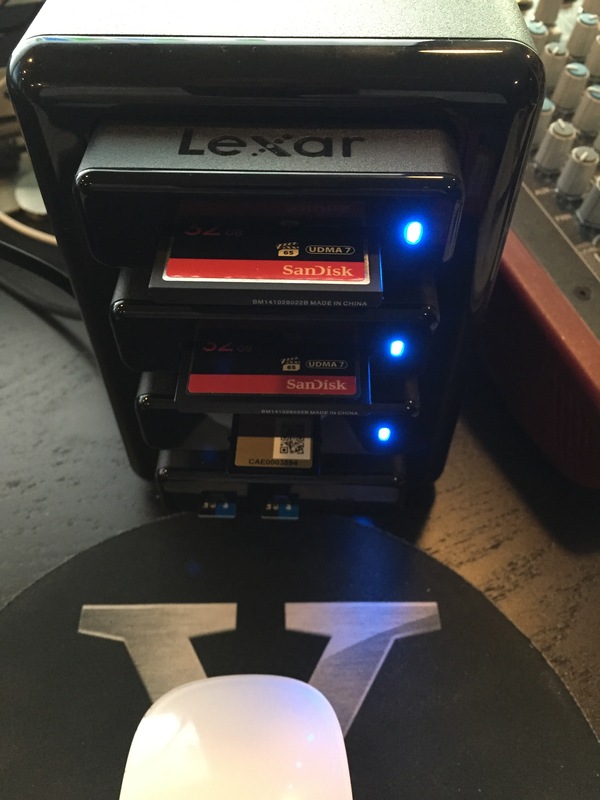 Lexar HR2, The ultimate DIT offload tool? I like to pride myself on staying up on the latest gear, but somehow Lexar slipped the HR2 by me. The HR2 is a four slot docking station that uses USB3 modules and has a Thunderbolt2 interface (and USB3) on the back. 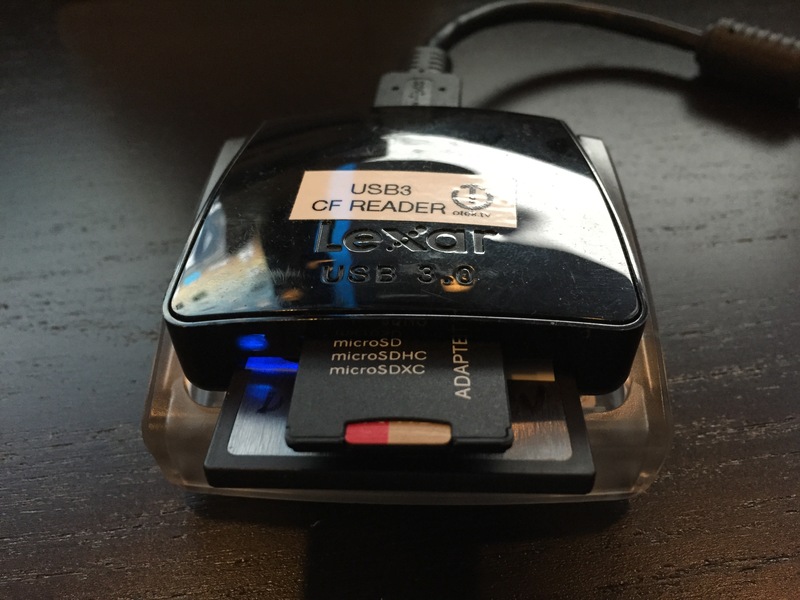 Lexar offers several modules that read all types of media like CFast, Compact Flash, SD, MicroSD and two SSD modules. You can pick and choose the modules that suit your needs. I suppose that you could daisy chain multiple HR2 units for mad offloads although I have not tested that. 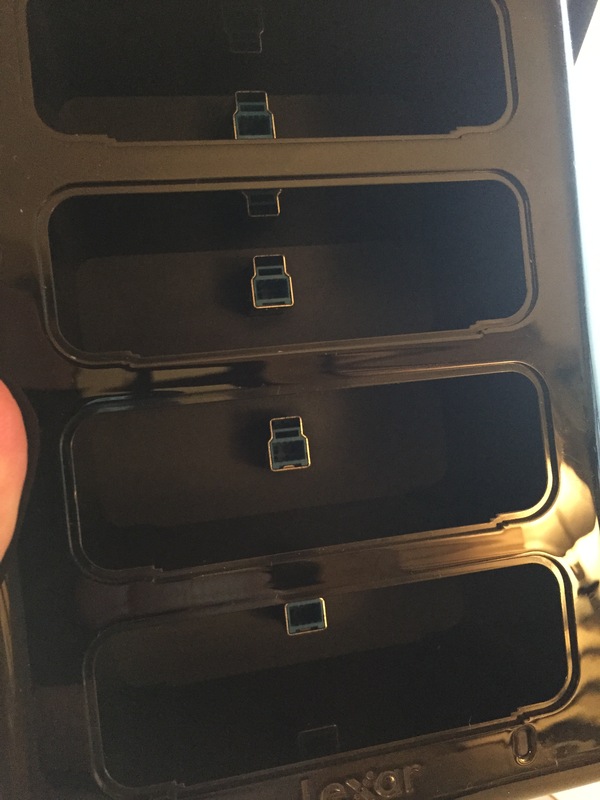 I configured the dock with 2 x Compact Flash readers, one SD reader and a MicroSD reader. One might ask why spend the extra cash when one might own existing readers? For me, there are two reasons that make this desirable. First, when I am working in the field, my 15″ MacBookPro serves as the offload station. With two Thunderbolt and two USB3 ports, I am always swapping out devices. 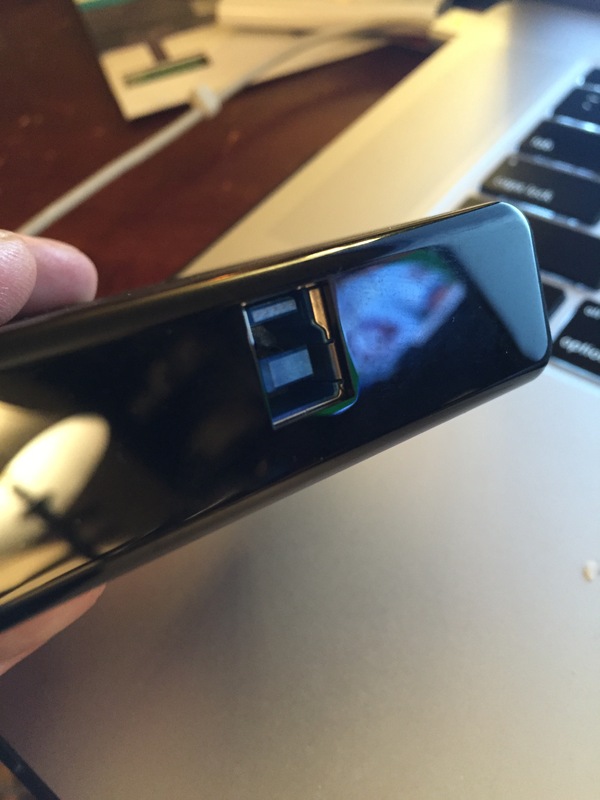 I have tried carrying port expanders like the OWC Thunderdock, but that has it’s own issues. Secondly, and for me, more importantly, the HR2 allows me to offload many cards simultaneously. This can be a tremendous time saver. My typical shooting setup is a pair of Canon C300’s and an audio recorder. Now I can offload both A & B Cams and audio at the same time. There is nothing slower than a backup at the end of a shoot trying while packing gear to catch a flight. In my initial tests, the HR2 on Thunderbolt has enough bandwidth to allow for all transfers without penalty. 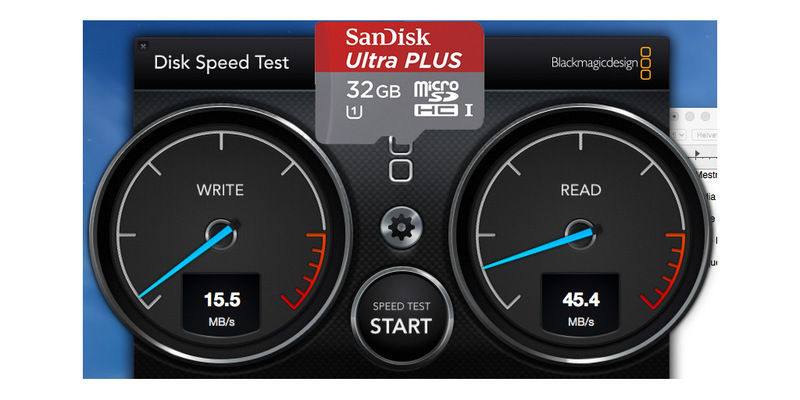 When compared to my dual USB3 reader, CF cards offload about the same time, but the MicroSD cards are much faster in the HR2. More than twice as fast! The hub requires power (included) and comes without any modules for about $170. The modules I purchased (street price) included the CF card reader (CFR1) for $24, the SD reader (SR2) for $22, and the MicroSD reader (UR1) for $40. Grand total of $278. Other modules (list price) include the Thunderbolt CFast reader (CR2) $128, a 256GB SSD (DD256) $151 and a 512GB SSD (DD512) $216. The modules can be used without the dock too. Most use USB with the exception of the CFast reader which can be purchased with Thunderbolt or USB3 connectivity. One nice surprise I found with the SR2 SD reader is that it will read MicroP2 cards (SD UHS-II) at full speed. I had previously discovered how slow the MacBookPro’s internal SD reader was. 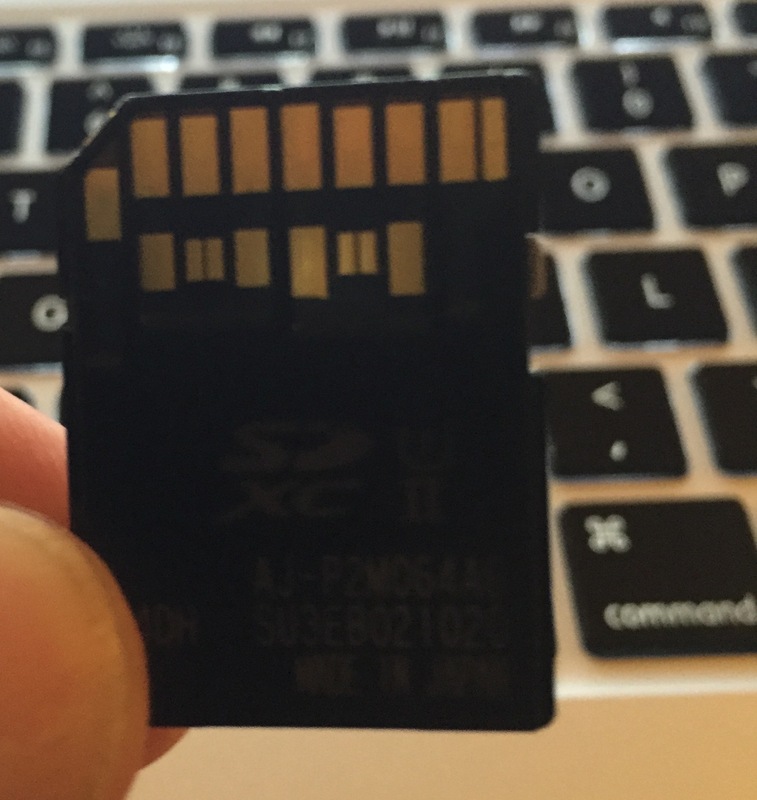 More and more of my gear uses the MicroSD format cards, mainly my collection of GoPro Hero4‘s and my Inspire1. I have noticed that some cards work better than others for certain situations. For example, in my Inspire1, the best card is the Lexar Sport, while doing 120FPS in 1080p on my Hero4, the SanDisk Exteme works best. I decided to speed test all the cards to get the real world performance. 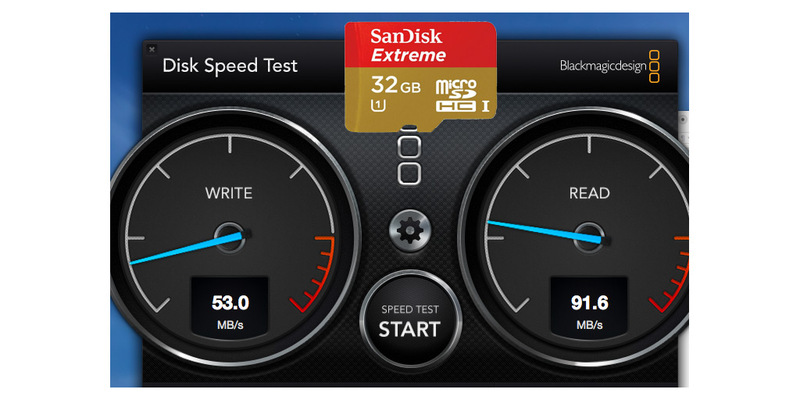 For timelapse, all the cards work well, but the SanDisk Extreme has the best performance for a few dollars more. 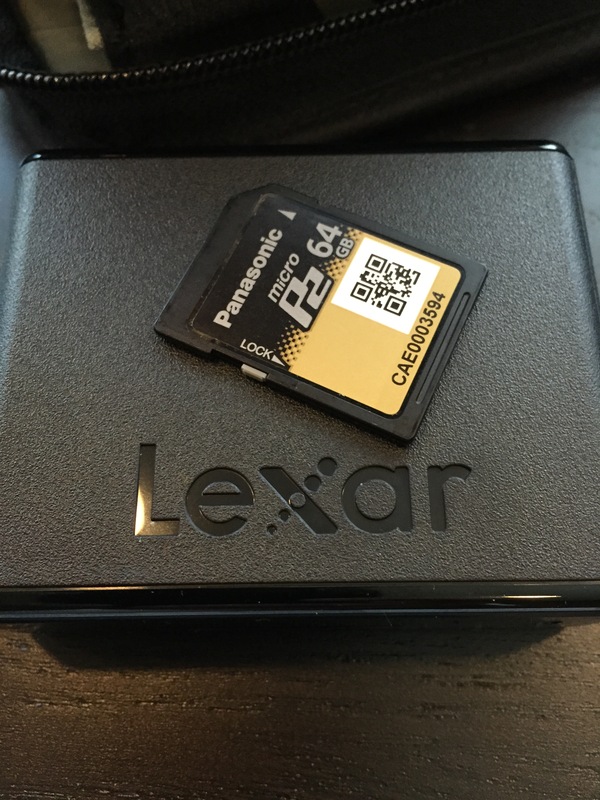 I do like the small reader that Lexar ships with their cards better than the MicroSD adapter than SanDisk Provides. I have been a long time user of the Panasonic P2 format, going back to the days of the HVX200. 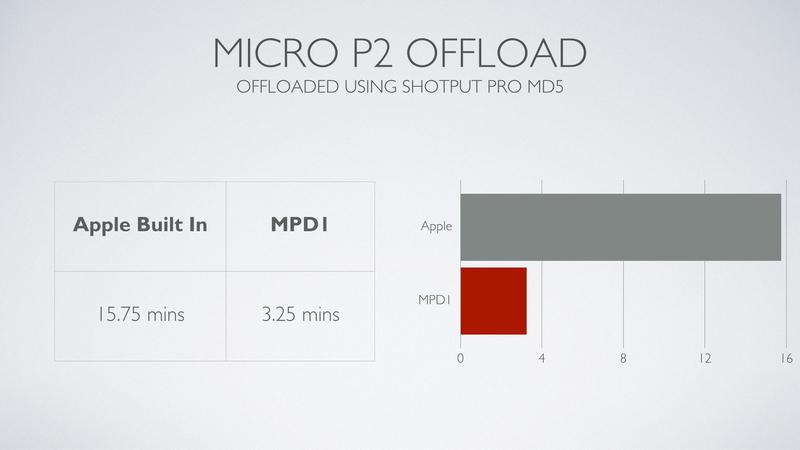 There have been numerous improvements to the cameras, media and offload tools over the years, but the biggest change to date may have been the move to the MicroP2 card. The MicroP2 card looks like an SD memory card, but is designed for high throughput. When used in my PX270 camera, the MicroP2 card is the only way to record 1080p60, a full-size P2 is just not fast enough.There are more pins on the card itself to facilitate moving the data. 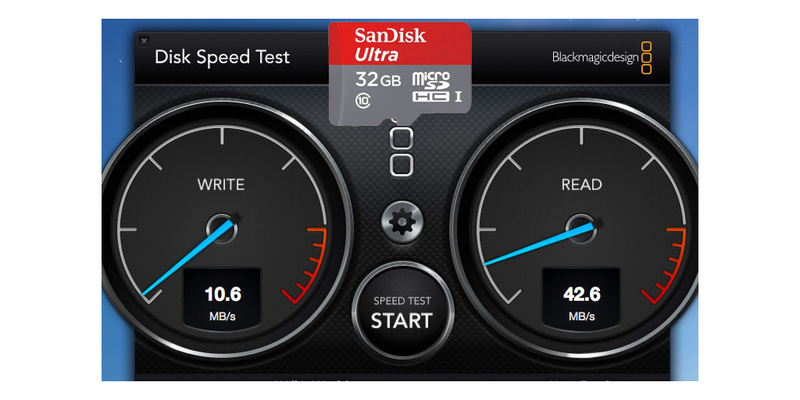 Another nice feature of the SD form factor is that I can pop the card right into my Mac for easy offloading. I never though about the time it took to offload the media since it was a background task and not on the forefront of my mind. 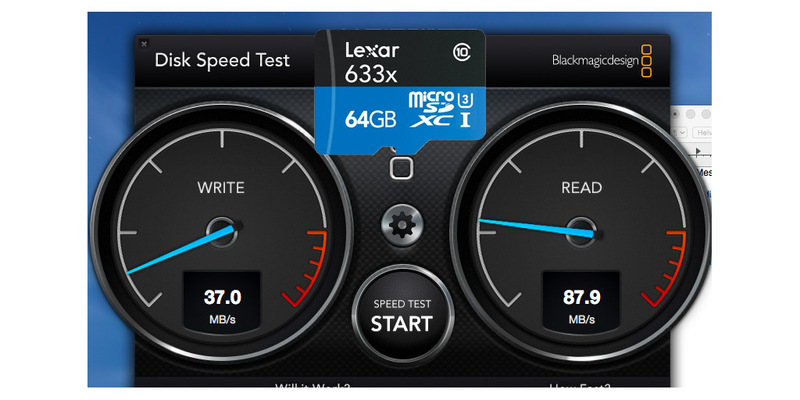 When I upgraded my main edit station to the MacPro last year, I lost the built-in card slot. 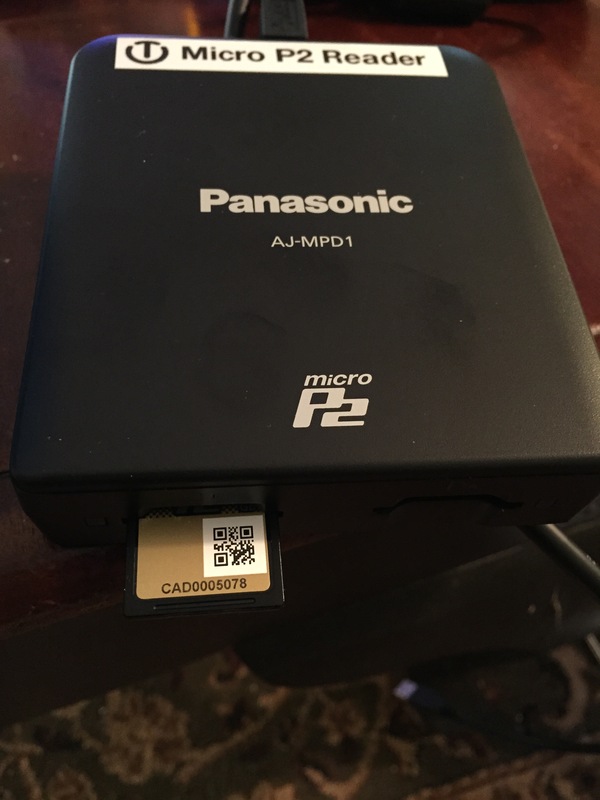 Since the MicroP2 card did not work in any external SD readers I owned, I decided to pick up the Panasonic AJ-MPD1. The unit is a two-slot, USB3, bus-powered drive, with a street price of around $325. My first 5 card reader was $2500! Here is the part that surprised me. This unit rips through the offloads at blinding speed. I am seeing a 5X increase over the built in reader. I even ran the tests twice just to make sure. Enough said.